An innovative IT project designed to prevent pollution has won a prestigious utility industry award. 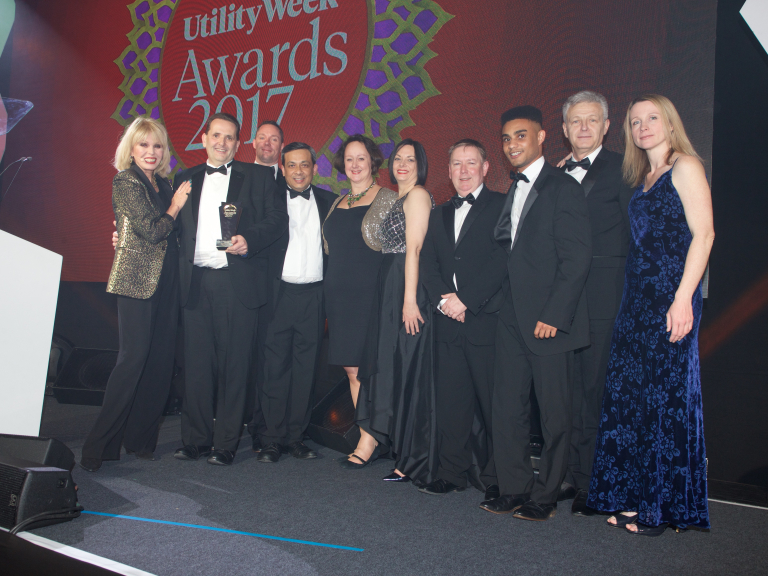 South West Water and partners Hitachi Consulting were presented with the ‘IT Initiative of the Year’ Award at the Utility Week Awards 2017, hosted by Joanna Lumley. The winning initiative is a cloud-based analytics and business intelligence platform using data to improve operational performance, support business decision making and make more proactive interventions such as predictive maintenance. The platform was built by the Athena Business Intelligence team, comprising experts from South West Water’s Information Services and Business functions and is supported by Hitachi Consulting. The team demonstrated how working in partnership with Hitachi can allow managers and operational employees to respond quickly to issues, using a variety of Microsoft Azure products and services. Kevin Nankivell, Group Head of IT at South West Water, said: “This is fantastic achievement and further demonstrates the value of IT driven Business Intelligence to analyse our data in new ways, resulting in improvements to the services we provide to our customers and a reduced impact on the environment.